Welcome! In the midst of holiday madness, Dion Baia & J. Blake have decided to open a gift just a tad early – a special bonus, intergalactic episode of Saturday Night Movie Sleepovers! With 2017 coming to a close, the boys take a deep-dive into a 40-year-old film that forever changed popular culture, the motion picture industry, the lives of millions of people and the world – 1977’s Star Wars! 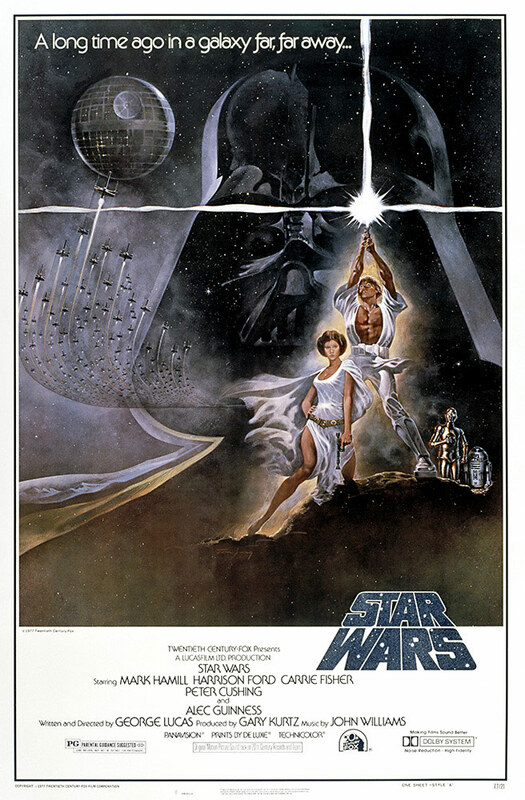 Written and directed by George Lucas and starring Mark Hamill, Carrie Fisher and Harrison Ford, Star Wars-mania swept the world in the late-1970s and early-1980s and became the quintessential blockbuster and landmark film for an entire generation of movie-goers. With time working against Blake and Dion for a topic so immense, the boys get right to business, discussing how the socially and politically turbulent decades of the 1960s and 70s, as well as what was going on in Hollywood at the time, led to Star Wars becoming the ultimate cinematic phenomenon. Among the many other topics at hand, they chat about its young filmmaker, speculate as to why the film appeals universally to so many people and of course, get into the radio drama that hit the airwaves in 1981. So, what was it about the 1970s that made Star Wars so special? How did George become Hollywood’s “great and powerful” Lucas? Why didn’t anybody working on the film, besides George Lucas, take it seriously? What the heck is a “parsec” and why is Han Solo’s use of the term actually not incorrect in the film? Why can’t Darth Vader get any respect? The boys attempt to answer all of these questions and more on this particularly dense…yet only scratched the surface…edition of Saturday Night Movie Sleepovers! Here’s the original theatrical trailer! Take a listen to The Star Wars Radio Drama…as discussed in this episode. Check out the documentary “From Star Wars to Jedi: The Making of a Sage,” as discussed in this episode. Take a gander at some deleted scenes from Star Wars.